In Greek mythology Hades had a loyal guardian of the Underworld who was known as Cerberus. Cerberus would sit at the gates of the Underworld to ensure that no living soul passed beyond that veil; he also prevented any souls from leaving once they had crossed into his realm. 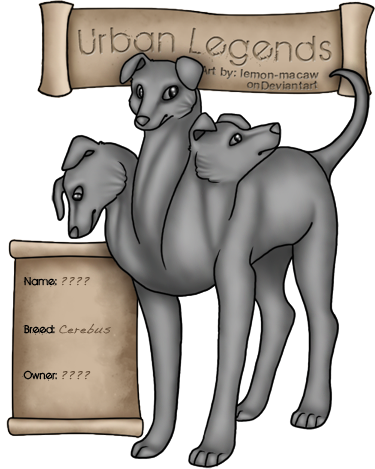 Cerberus was depicted in many different ways, but a three-headed dog became his most common representation. There were two occasions when Cerberus was bested and a mortal soul made it into the Underworld. Orpheus, a talented musician, was able to lull the creature to sleep with his lyre. After losing his wife he was determined to sneak into the Underworld and win her back. He successfully evaded Cerberus and was able to not only penetrate the Underworld, but return to the real world afterwards. The second time that Cerberus was bested was during the Twelfth labor of Hercules. After a fit of madness, caused by the goddess Hera, Hercules sought redemption for killing his wife and children. After praying to the god Apollo for guidance an oracle told that he must serve Eurystheus, the king of Tiryns and Mycenae for twelve years. As part of his sentence he was tasked with performing twelve feats or labors that were deemed impossible. The Twelfth Labor, and by far the most difficult, was for Hercules to kidnap Cerberus from the Underworld and bring him before Eurystheus. Hercules fought Cerberus alone and without weapons and was able to grasp all three heads of Cerberus and wrestle him into submission. After taking Cerberus to Eurystheus, Hercules returned the guardian of the Underworld to his rightful home. Hades finally released his faithful pet, Cerberus, after many years of guarding the Underworld. It was then that Cerberus was able to ascend into the demon Naberius, who became the father of all Cerberus. Naberius had many forms, a three headed-dog, a raven and even a human form. As a human he has a very eloquent speech despite his hoarse voice. He is known the be the internal guardian of demons and can take away ranks of honor, or even bestow honor onto those who have been unfairly stripped of it. He does this more for humans than he does for demons. He can also raise the dead if he deems it necessary. He is said to be very friendly and extremely fair in his passing of judgement. 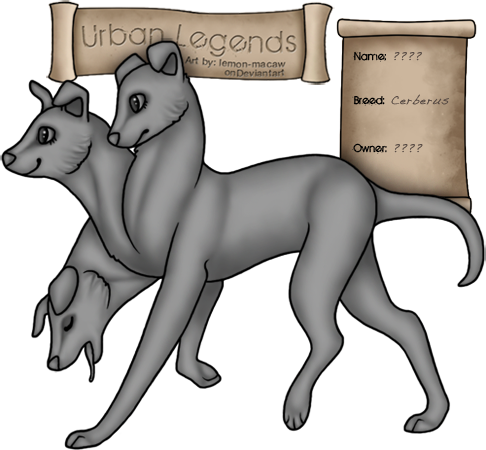 In human form his skin has a dark green hue to it, but most of the time you will see him in his Cerberus form. 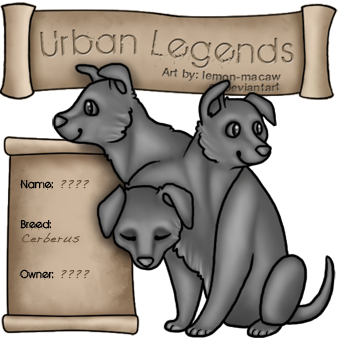 So if you're lucky enough to find a Cerberus of your very own you'll see exactly how kind, loyal and fair these creatures are. They are very honorable and noble creatures. They're very knowledgeable and have a very eloquent speech about them. They will be your friend for life, but in return they ask that you treat them with respect.